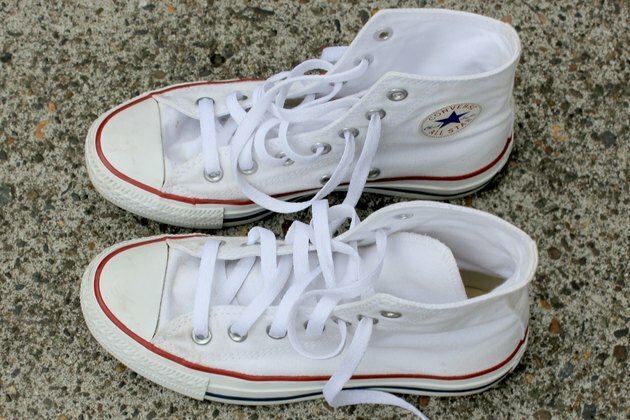 Converse are great, stylish and timeless shoes. But they are notoriously hard to keep clean, particularly the white ones. So what do you do when your once brilliant shoes are dingy? Clean them up with these simple steps. Use a Tide stick or Spray n' Wash to spot clean any especially dirty areas. Scrub or let sit if needed. 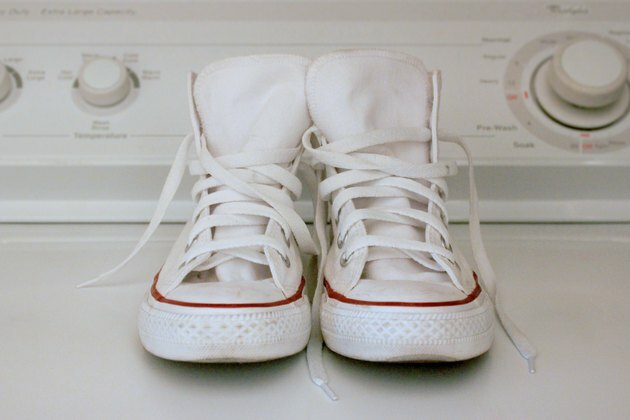 Wash your shoes in a washing machine. Set the temperature on cold and consider throwing in some towels or rags to avoid too much clanking noise as the shoes bounce around. Use a normal, bleach-free detergent. Bleach can weaken your fabric. Let your shoes air dry. 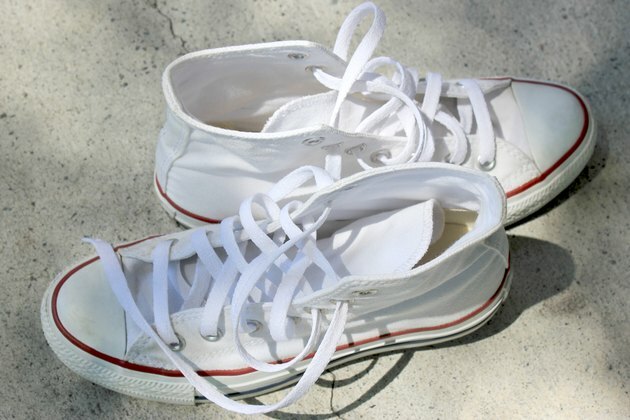 While colored Converse should be dried in the shade to avoid any discolorations, white ones actually benefit from being dried directly in the sun. The sun bleaching will only brighten your color even more! Clean the rubber with a paper towel covered in soap and water. This should remove most scuffs and scratches. If you still have any scratches on the rubber, try rubbing alcohol. While this method is highly effective, you only want to do it as needed because it can make the rubber on your shoes start to harden.